How Lenovo updated content in real time to get more customers interacting with their products. Lenovo is a PC and Tablet manufacturer, highly recognised in its home market in China but with growing expansion all over the world. Lenovo is increasing its presence in Europe and especially the UK, with a range of professional products such as ThinkPad and its YOGA range of laptops, desktops and tablets. Working primarily through retail partners such as Currys, PC World, John Lewis and Very.co.uk. Here, we speak to Guillaume Bouchard, UK&I Retail Marketing Manager at Lenovo on his experience using ScreenCloud and digital signage. 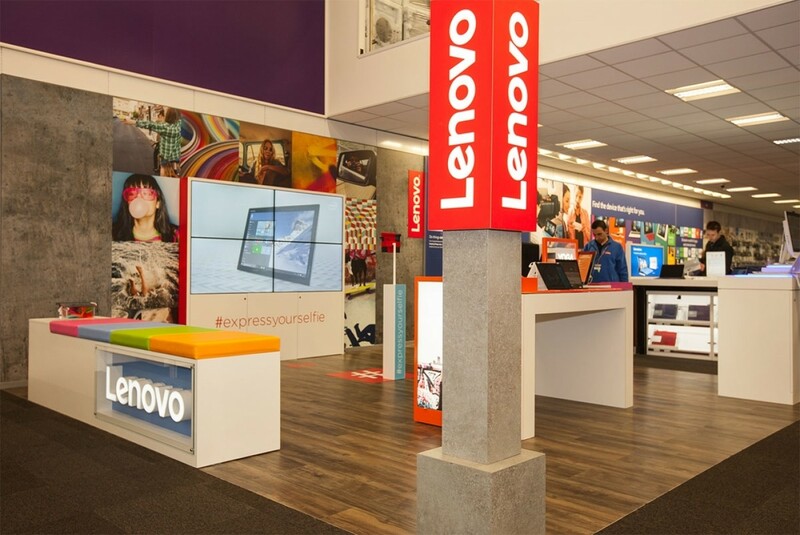 One of Lenovo’s main challenges is that we don’t own any shops ourselves and rely heavily on our retail partners to do a good job at demonstrating what our products can offer. With such fierce competition we had to find a way to get our customers interacting with Lenovo so they can understand who we are and what we stand for. With this in mind we opened brand zones within two UK-based PC World stores. The aim within our brand zones was to ensure each customer could play with our products and interact with them in the way they were meant to be used. We also wanted to bring a never-seen-before interaction with our brand through a selfie wall and that's where ScreenCloud has been fantastic for us. Create a fun interaction where customers can take a selfie with the background of their choice and push it out to Twitter and Instagram through our selfie wall, allowing us to link the social media world with the retail world. Create content via a video loop that can be updated from my desk at head office. This has allowed me to push new promotional messages about Lenovo out to the big screens in-store without having to send USBs or constantly worrying about a manual update. ScreenCloud delivered exactly what I needed and have been very easy to work with. With a project so complex I didn’t worry once about ScreenCloud not delivering on time. I’m pleased to say they succeeded in delivering a great experience for me and my customers. I would recommend any business with digital signage to use ScreenCloud. If you have a lot of digital signage to manage and need your content to be updated rapidly and safely then ScreenCloud is the service to go for.